The earliest image of my elder brother—for me, bhaiya, as I called him-- that I remember is perhaps of 1977-78, when, I, as a four year old or so, sitting among the audience with my parents and elder sister, just could not understand why all the family members were going gaga about a King with a moustache and in royal robes speaking a strange language (English) with a strange tone acting on the stage. That was my brother, Shri Kumar Vivek (14th July 1967-30th April 1997), perhaps ten or eleven years old, in a school play being staged at Convent School, Kalambagh Chowk, Muzaffarpur, Bihar. It must have been some kind of an annual day or so, and I remember vividly that it was late in the evening, with faces of people sitting around enveloped in darkness. Today, when we complete 16 years of his passing away, I feel like sharing a few things about him. A brilliant—almost gifted—student, I sometime really marvel at his multidimensional interests. He always stood first in his class and topped in matriculation examination in his school. The subjects that he opted for in his Intermediate Arts (IA) (Junior college or 11th-12th) at Langat Singh College, Muzaffarpur, were, besides the compulsory Hindi and English, Political Science, Economics, Sanskrit and Mathematics. In his IA exams, he got more marks in Mathematics than Political Science, thus Mathematics became his main subject, with Political Science being treated as an ‘extra’, even though he had obtained first division marks. It needs to be underlined that during those days in early 1980s, securing First Division was a great achievement obtained by only the meritorious ones as the rat race of securing 90%+ had yet to start. In B.A, he opted for Economics Honours with Mathematics and English Literature. At that time in 1984, they had just introduced a system of BA with 2years Passcourse+1year Hons. System, which meant that in the first two years, one had to study full-fledged papers in all three subjects, with last one year being dedicated to Honours course to be opted from these subjects. He opted for Economics Honours and secured perhaps the second highest marks in University with 61% or so. In the early 1980s, he had some rich and strange range of reading habits—he regularly subscribed to Sarika, the Hindi literary magazine brought out by TOI; to that film magazine with its tabloid shape and its name g written in big letters; that hip-hop magazine Sun (introducing us to names like Micheal Jackson, Elton John, George Michael ; the newly emerging area of interest of IT covered by that magazine called Computer. Among books, besides some of the bestsellers of Alistair Maclean, Arthur Hailey, Sideney Sheldon and “the ilk”, one would often see him coming back from his evening strolls in the market with books of Rajkamal Paperbacks. I was six and five months younger to him, and my sister one and four months. First my sister, and later I, got introduced to an entire range of Hindi writers through him—Mohan Rakesh, Kamleshwar, Nirmal Verma, Mannu Bhandari, Dharamveer Bharati, Amarkant, Kamtanath, Krishna Sobti, Usha Priyamvada, among many others, and also Hindi translations of other language writers like those of Quratulain Haider, Amrita Pritam, to name just two. My bhaiya also had some kind of fascination for the satirists, and hence one got introduced to Harishankar Parsai, Rabindranath Tyagi, Shrilal Shukla, Sharad Joshi, Amrit Rai. 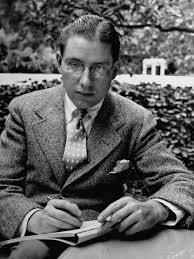 No wonder, his diary entries, which are basically a collage of quotations taken from a wide range of writers and poets, one could also notice repeated quotes from none other than Ogden Nash, with his poem on ‘Octopus’, being his favourite. His fine sense of humour certainly 'justified' this inclination, so to say. Bhaiya did not know how to read or write Urdu script, but because of his special interest in Ghazals, he would buy Urdu poets’s collections available in Devnagari—from Mir, Ghalib, Bahadur Shah Zafar to Iqbal, Firaq to Shaharyar, he built up a good collection of Urdu poetry. Basically, he himself wrote a few ghalzals, poems in Hindi, beside a few in English, and one could see him making reference to Urdu-Hindi dictionary in Devnagari to understand and make use of Urdu/Persian expressions. 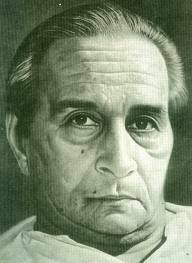 Among Hindi poets I remember the colections of Raghuvir Sahay, Sarveshwar Dayal Saxena, Srikant Verma, Nagarjun and Muktibodh. Most of these books, including the ones from Rajkamal, he would often borrow from a library called Suvidh Sangh, of which he was a member, located near Nitishwar Singh College of Muzaffarpur. In fact, this search for peculiar Urdu expressions also reverberated in English, because I find that some of his diary quotes are about strange words in English. For example, much before I became a student of English literature and later had an opportunity to co-author a book on Eliot with my father, I read this word ‘polyphiloprogenitive’ written in his notebook with its meaning (literally to be fond of children or prolific, but in Eliot it has other meanings). This is the word with which Eliot’s poem ‘Mr. Eliot’s Sunday Morning Service’ starts. I think he was turning out to be that perfect blend of Indian and western culture, which my father had desired to be—sending him to Hindi medium schools and training him to change over to English medium in a very natural fashion after the 10th, a system which I also had to follow courtesy my brother doing it successfully and eminently. Two more information are worth sharing: One was his love for some of the French writers like Sartre, Camus and poets like Baudelaire (this information I am adding after being reminded of it by my elder cousin Shri Nirmalanshu Ranjan in his 'comments' which you can read in that section). Secondly, his passionate love for cricket--an avid listener of cricket commentary, which he would also ape in mohalla cricket, he had prepared his own cricket photo album of his superstars like Imran Khan, Sunil Gavaskar, Viv Richards and John Michael Brearley (Mike Brearley ) cutting their photos from newspapers and magazines. Among the magazines that he read regularly I should have also mentioned 'Sportstar' and 'Cricket Samrat'. This cricket photo album also had some of the important score sheets of various important matches that he had painstakingly prepared--remember these were pre-television times mostly. After his matriculation, he started a sort of badminton club with his neighbourhood friends, which really attracted a good number of 'spectator', because of the novelty of tournament type arrangement--professional nets, racquets, maintenance of score cards etc. After the coming of television, he did get hooked on to Tennis and cricket, watching them in the middle of nights or in the wee-hours, when the matches were relayed from 'Down Under'. In the neighbourhood cricket team, he was always chosen to captain the side by his friends, not really because of his cricketing skills, which were limited to slow medium bowling and better batting, but mainly because of his captaincy skills--for field placements, for change of bowling in a strategic manner and so on and so forth. 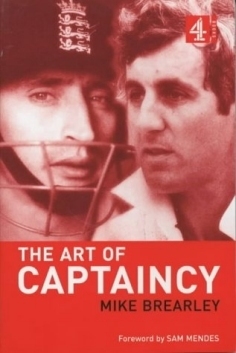 No wonder, his one of the model cricketers was Mike Brayerly, the legendary captain of England in the 1970s, who was known to be a master-captain, and was kept in the side not as much because of his cricketing skills as such, but because of his 'captaincy skills.'. But my bhaiya had two problems: he was quite an introvert and over-sensitive. His bathroom singing of Kishore Kumar’s songs, love for the parallel as well as masala action films including James Bonds'-- he was a die-hard fan of both Amitabh Bachchan and Naseeruddin Shah--perhaps showed a zest and intensity and range for life which proved too much for the space and time he was placed in. This aspect of his personality with his ingrained desires to overcome the surroundings of Muzaffarpur, put him in direct conflict with my father’s Gandhian idealism on the one hand, and, more importantly, with the rather apathetic social ambience of Bihar of the 1990s. From 1991 onwards, bhaiya developed acute psychological depression, with which he fought for nearly six intense and painflul years, ultimately succumbing to it in 1997—two and half months before he could turn even 30—ironically, as a ‘drop-out’ student of MA (Economics). Needless to say, the overall deteriorating atmosphere on the campus of college and universities of Bihar starting in 1980s and taking on entirely new colours in the 1990s, added to his derailment, with academic sessions getting delayed by more than 2 years and examinations happening haphazardly, almost chaotically. I have always seen the deterioration of my bhaiya as somekind of concrete manifestation of social deterioration, though my father generally never shared my understanding because of his immense faith in social ethos, and always tried to analyse it as a personal failure--a reading which I though was too cruel on himself and bhaiya. His rather incomplete life reminds me of that incomplete play that he once decided to stage with his neighbourhood friends in which I had also got a minor role, perhaps of a girl. This might have been the summer of 1982--his post-matriculation examination and pre-results days-- when bhaiya took out a play from the magazine for the young adults 'Paraag' brought out by TOI. He edited it suitably, and cobbled together many of his friends--boys as well as girls--and proper rehearsals got started. My father asked a few of his students to help the team out in managing the show. However, after some days of rehearsals, which was really fun, everything just evaporated probably because a few of the parents were not very appreciative of the growing up boys and girls working together for a play. Here I reproduce his poem in his own handwriting, which had appeared in ‘Vaishali’, the magazine of Langat Singh College, perhaps sometime in 1984-85 or may be earlier. His photograph (above) was taken in July 1990 at Pragati Maidan, New Delhi, when he had gone on an All-India trip covering Bombay and New Delhi with the MA students of Hindi and Economics departments of BRA Bihar University, Muzaffarpur. Thanks for reminding me of those sweet, little things about Kumar Vivek, whom we knew better by his pet name - Suman. Although our bonding was based primarily on the nature-gifted ties of two cousins, we were always better friends than being just two cousin brothers. I mostly had my say in life (though only to find myself going the wrong way at a later stage of life), and he always had a word of appreciation for all I did, perhaps because he always wanted to break free of the social, orthodox tie-downs. As for his literary genius, we all were proud of his impeccable knowledge of foreign and alien languages like French. As a person with a literary bent of mind myself, I always felt jealous of his certain expressions that left a lasting impression on any sensible, sensitive mind. As his trusted friend and prime partner in young-age crimes, I have missed him so much, and on several occasions. I wish we could again smoke together, steal a few noon shows in one of those movie theatres of Muzaffarpur and talk about our respective crushes! As I saw his photograph after so many years, I suddenly went hollow in my heart, and the mind asked: where do they go who go away for ever? Thanks a lot. I can very well understand the close rapport that you had with bhaiya. It is now sixteen years--rather I would say, it has taken me sixteen years-- to write something about bhaiya in a detached manner, away from the painful suffering that he went through primarily, and the family went through with him. This is a personal blog, and sometimes it becomes a good platform for some kind of catharsis. Your comments are so valuable. Taking a cue from your note about 'French', I have added a few words about that as I got reminded of it. Also, one full para on his love for cricket and sports have been added, besides a few photos of his icons. You may like to go through this again..
Kumar, could you translate that poem roughly? It must have been tough writing this but it is nice to know about your brother. Thanks for posting this. When you say 'he succumbed' do you mean he committed suicide? not, not exactly. I will try to translate the poem. thanks a lot.